Tourism suppliers have access to loads of data from Google Analytics that show travelers behavior and source of visit to your website to Facebook analytics of your posts. But how you use that information is open to all sorts of interpretations, options and misunderstanding. This infographics by SnapShot helps put data into perspective. As SnapShot say, At its core, “big data is a large set of data that, through analysis, can reveal trends. When we say large, we mean large. 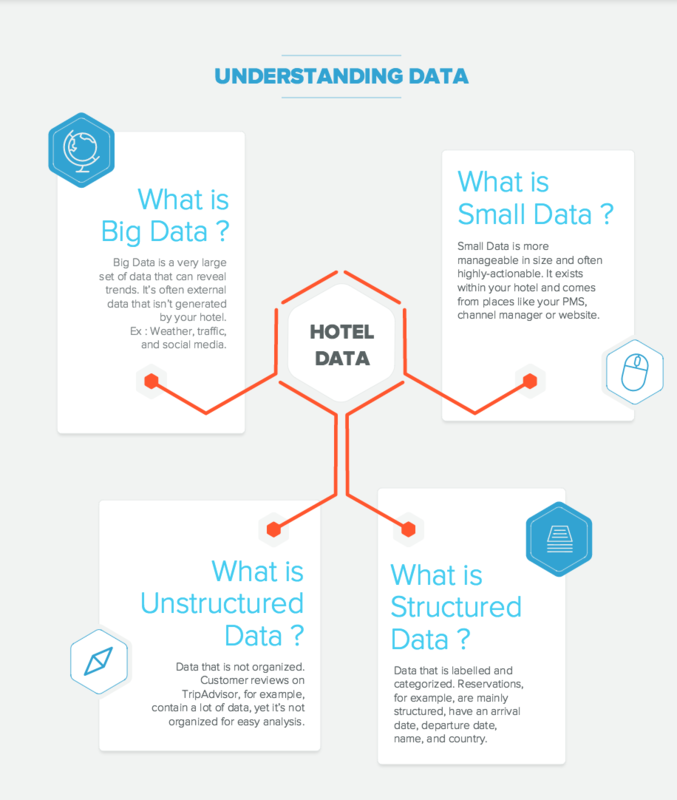 Thousands or millions of data points are common, so this information will almost always come from sources external to your hotel. Good examples of big data are weather, traffic, or social media data. The image here is just a sample of the complete PDF. It covers these 4 topics in Understanding Data and more on Understanding Analytics.